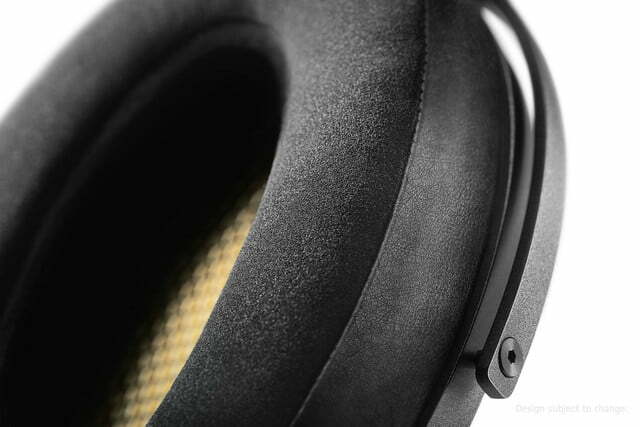 Related: Check out our hands on review of the Sennheiser Orpheus. 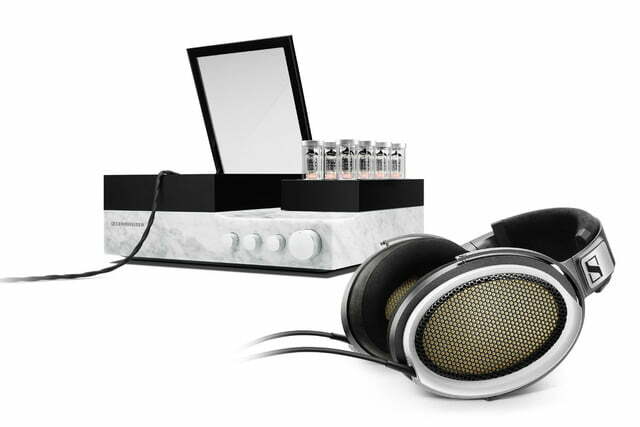 When it comes to high-end audio, hyperbole is the marketing department’s prime directive. 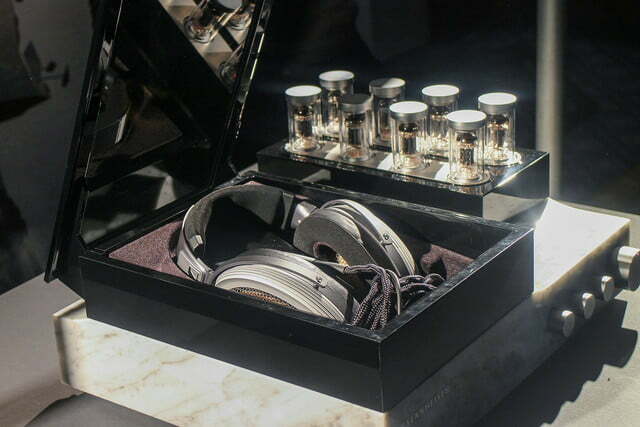 But when Sennheiser claims it has made “the best headphones in the world,” the company is dead serious. And although we’ve seen nothing more than a short glimpse of these sparkling cups of of sonic glory, on specs alone, we’re inclined to give them the benefit of the doubt. 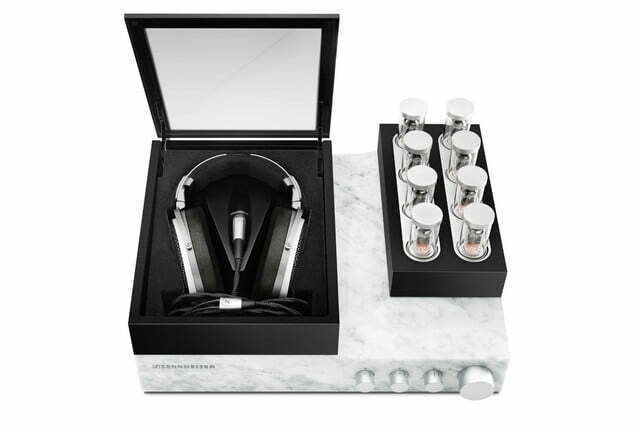 Introducing the Sennheiser Orpheus. Named after the original Orpheus HE90 (which carried a $16,000 price tag back in the ’90s) the new Orpheus are a second coming of sorts, bundled with a hand-crafted amplification setup designed to complete a sonic system that surpasses everything that has come before it. The price for this outstanding engineering achievement: approximately $50,000, give or take. To put that into perspective, you’d have to purchase two of these top-tier WA 234 Mono headphone amps from Woo Audio, along with a pair of the Abyss 1266 Deluxe headphones — and then throw in a gently used Kia Optima — just to get close. So what do you get for that staggeringly opulent sum? Enough features to knock the wind out of your average audiophile, positioning the Orpheus less as a pair of headphones and amp, and more as a totally new kind of listening system. The Orpheus are assembled from over 6,000 individual components, from their ivory stand of Carrara marble, to gold vaporized ceramic electrodes, and plush leather cushions. 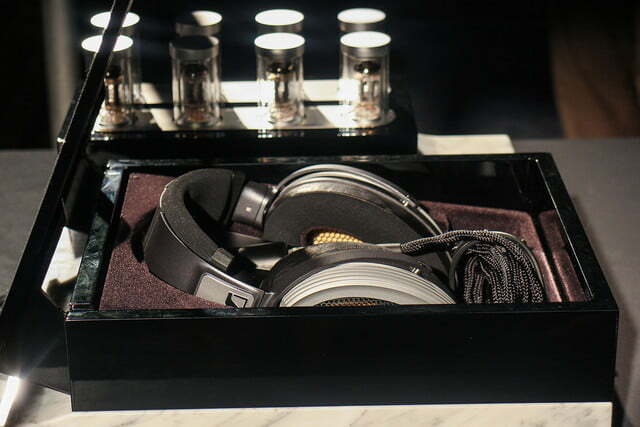 The headphones boast electrostatic drivers, lauded for their stark clarity and lightning-fast transient response. 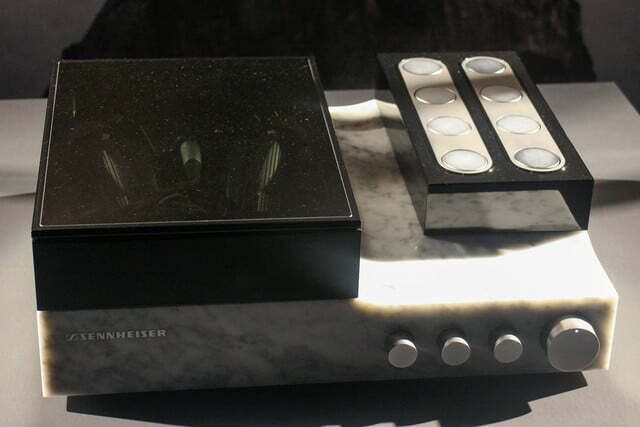 The system’s power is produced in two stages, the first of which is a hybrid transistor/tube amp with 8 quartz-glass vacuum tubes that pop up from their marble base automatically when switched on. The marble stand is a nice aesthetic touch, but also allows for decoupling of the tubes to reduce structure-born noise. 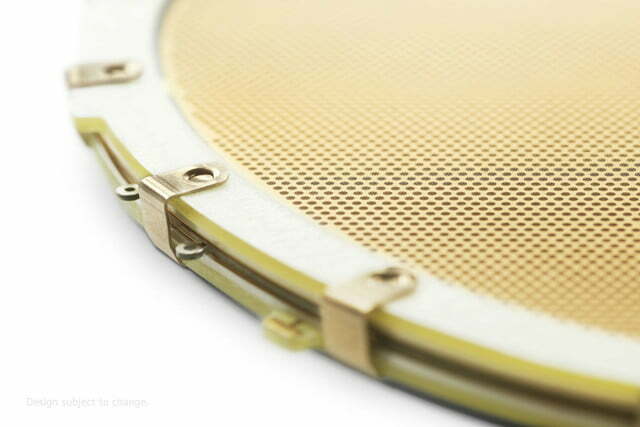 The second amplification stage is built directly into each of the Orpheus’ earpieces, and takes the form of a patented “ultra-high impulse” amplifier system, aimed at circumventing any power loss that might occur on the way from the amplifier to the headphones via cabling. Sennheiser Portfolio Manager Audiophile Axel Grell claims that in traditional amplification systems of this sort, only about a third of the power generated is actually used to create sound. The frequency range of the drivers, which measure a mere 2.4 micrometers thick, is claimed to extend from 8Hz-100kHz — eons beyond the human ear’s capacity to recognize sound. Sennheiser claims this allows for all sounds that do fall in the audible zone (from 20Hz to around 20kHz) to be virtually distortion free — total harmonic distortion is listed at .01 percent at 100 dB. The cables themselves are built from an eight-wire collection of oxygen-free copper coated with silver to provide optimum electrical conductivity, and sheathed in an insulating layer to ensure noise isolation. Connection options for the Orpheus system includes both balanced and unbalanced sockets, a S/PDIF Optical input, and a USB port. 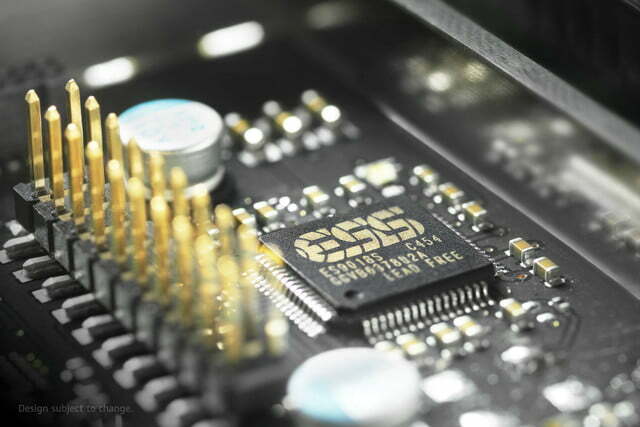 Digital to Analog audio conversion is handled via an ESS Sabre ES9018 chip, with a total of eight internal DACs (four per channel) at a top resolution of 32bit/384kHz. The system also supports DSD signals, including 2.8MHz and 5.6MHz. The Orpheus will launch in mid-2016 with a batch of 6,000, all hand-crafted in Germany (they ought to be at their staggering price point). Having designed the system for the highest performance possible in the genre, Sennheiser is confident that the outrageous price will translate to a sonic experience that is unparalleled. 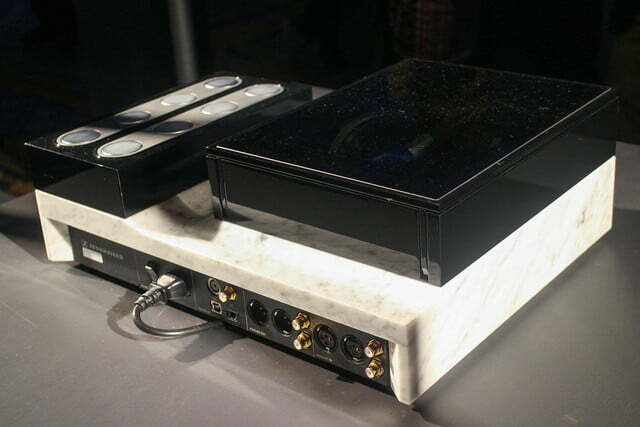 “No other sound reproduction system in the world is able to deceive our senses like the Orpheus. 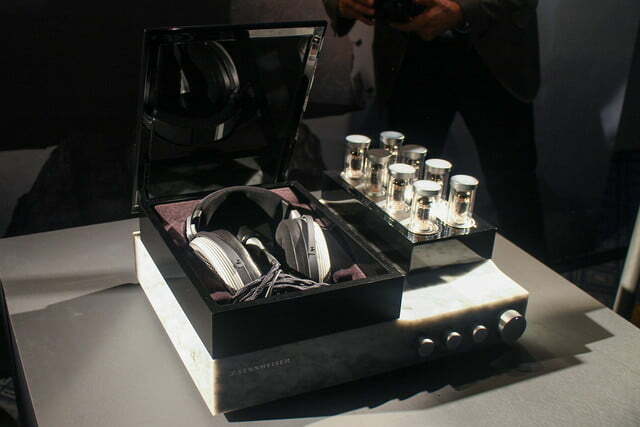 It creates the absolutely perfect illusion of being directly immersed in the sound,” said Daniel Sennheiser. We’ll be listening to the headphones at a special event next week in LA, so we’ll find out if that is indeed true soon enough.